The Bluiett Baritone Saxophone Group strikes again. Four baritone saxes make for quite a wall of low-register sound, and every quartet member but Bluiett -- Patience Higgins, James Carter, and Alex Harding -- doubles on bass clarinet. In Carter's case, make that contra-bass clarinet, an instrument that can cause the room to shake. Since the horns have the bass function covered, all that's needed are drums; hence the presence of trapsman Lee Person and percussionist Kahil El'Zabar. This is a challenging listen, even if it starts with a playful, lushly harmonized "My Girl," the Motown hit. "Humpback," the first of five compositions by Coleridge Taylor Perkinson, immediately follows, its dark, smeary rubato harmonies and ultra-low-end textures evoking the murky world of the whale. 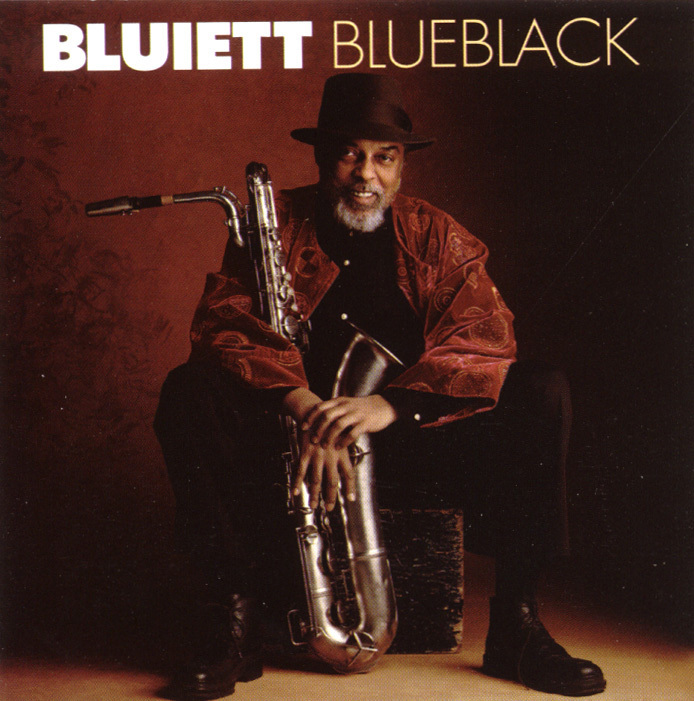 Bluiett's contributions ("Blueblack/Prelude to a Scream," "Juxtaposition," "Sasa -- The Here and Now") tend to be more cacophonous, less structured; other tracks evoke a bright dance aesthetic ("Zippin'," "LG's Place"), touching upon what the late Lester Bowie liked to call "great black music." Taylor Perkinson's double tribute "Lamentation for JJ/Ballad for Babs" and his thoughtful "Angles" showcase the more elegant side of the quadruple-baritone configuration.